A squib with a way with words or a way with words because I’m a squib? No, no, no not my Father! For on July 11th 2005, more than my father died! Somehow, by the powers of the Ugandan sun and/or puberty, I was dark-skinned! “The Blacker the Berry the sweeter the juice! Mugabi is a writer, poet and occasional rapper. He was born in Nigeria, to Ugandan parents and is currently based between Kampala and Toronto. Mugabi has spent his 26 years thus far, in equal parts across Africa, Asia and North America. 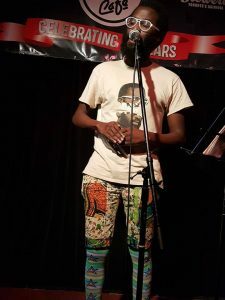 Mugabi was longlisted for the Babishai Niwe Poetry Award in 2015. His essays, articles and poetry have been featured on The Good Men Project, African Writer, Arts and Africa and The Kalahari Review, amongst other publications. He has been interviewed on Voice of America – VOA, NTV Uganda, 91.3 CAPITAL FM and Brittle Paper (literary blog), amongst other media outlets. 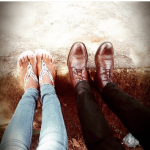 Mugabi’s writing is used to teach international high school English reading comprehension. His debut novel, ‘Dear Philomena,’ was published in 2017 and he recently concluded a 30 city North America/East Africa tour in support of this. He is embarking on a second tour aptly titled, “Is That A World Tour or Your Girls Tour?” which will take him across an additional 25 cities. An advocate for the intersection of arts, chronic illness, social justice, and literacy, Mugabi leads workshops in effective writing, poetry, performance, vulnerability, mental and chronic illness for youth and adults. 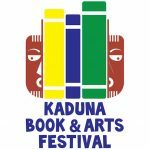 KABAFEST 2018: Summary of the 2018 Kaduna Books and Arts Festival.